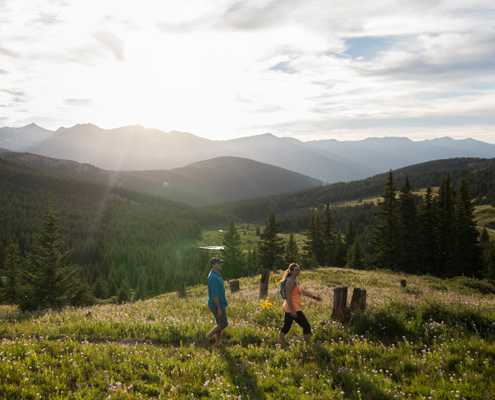 Hiking is one of the most popular sport to enjoy in Breckenridge during every season. Breckenridge has over _____ trails that are easily accessible and not far to get to. Check out our list of favorite Breckenridge trails for all ages, and levels. Great trail for all ages. Make it as long or short as you want. Take the switch backs (watch for bikers) or run the steps! great scenery, coverage from sun and a mild but great hike for the whole family. Travel the trails, and up to an open field with a spectacular view of the entire 10 mile range. Summit to the top and take in the birds eye views of Breckenridge. This one is for more of the expert hikers so make sure to bring enough water! Stunning year-round but particuallary in the fall, hike all the way to the continental divide. For hikers who are looking for a strenuous hike with unbeatable views.